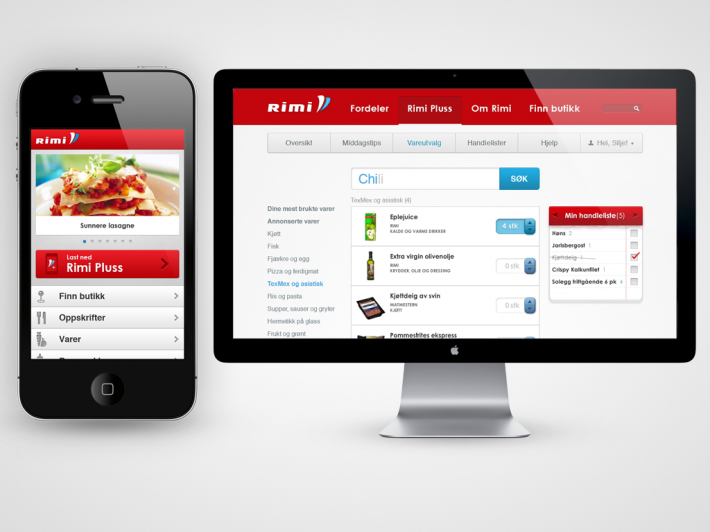 Digital shopping tool for grocery chain Rimi. Insight: A lot of people value saving time over getting the cheapest price. So with the slogan ”Quick and affordable” (Raskt og rimelig) we proved it by refurbishing the shops for a quicker shopping experience, then launching RIMI Pluss, a digital tool for Android and iPhone platforms that synchronises with all members of the family across all platforms. The service allows family members to add groceries from their mobile or computer to shared shopping lists. The groceries on the list are sorted by their order in the shop, so you can esily find them. 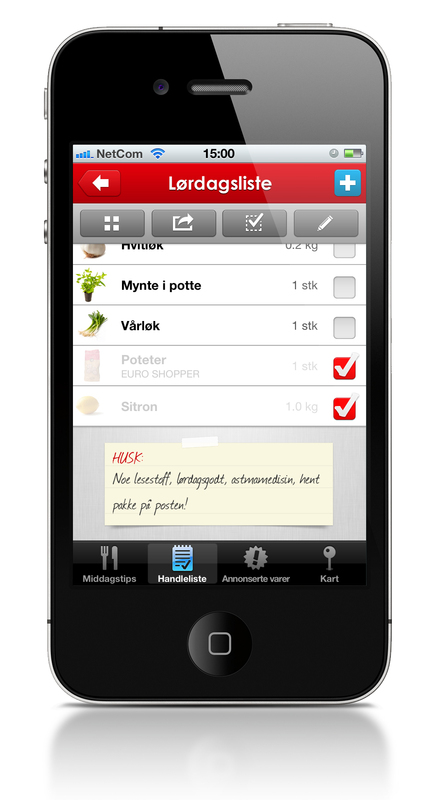 The application also offers daily dinner recipes scalable to the number of family members. The app was number one the first day in the App Store, and customer satisfaction and relevance in the market category has re-built RIMI a strong brand. My role in this project was idea generation for content in the early stages of the project. This was a comprehensive and ground breaking project, and very much fun to be a part of.